The plateau above the canyon is named this because at the time of the full moon you can see both the moon in the sky and the reflection of the moon in the Dead Sea. Yahusha hid His Name under a formation that resembles a right hand (see photo above). Since their discovery, the secrecy these scrolls were put under by the Jesuit scroll team is unprecedented in modern times. 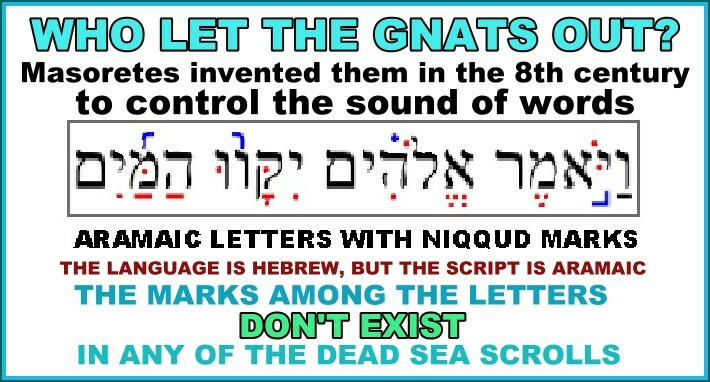 The evidence of the Name of Yahuah in Scriptures, letters, contracts, and other memoranda is the most obvious reason the documents were placed in the caves, to keep it from being destroyed. The caves are high and dry, as flash floods often occur in the canyon (wadi) below the plateau. This water and the nearby clay soil conveniently provided the material to make jars. This pottery factory was also a scrollery where select documents were carefully copied before being stored. The Hebrew Name of the Creator, spelled yod-hay-uau-hay, was always treated with the utmost respect. Any document with the Name on it was never discarded profanely. The dry caves of the plateau of Qumran were used for centuries as a repository where such items could be safeguarded forever. The Hekel Sefer, or Shrine of the Book, houses a museum containing many original artifacts from the caves. The ancient Hebrew script is written on the Scroll of YashaYahu, while the rest of the text is copied in Aramaic. As NatanYahu points at the text of YashaYahu, he gets both of his left hands into the act. In the ancient world, rulers were appointed because they were polydactyl. (I'm kidding about the two left hands; the photo obviously has a third person in it we can see in another photo that will follow). WHAT WAS WHISPERED IN THE INNER ROOMS? 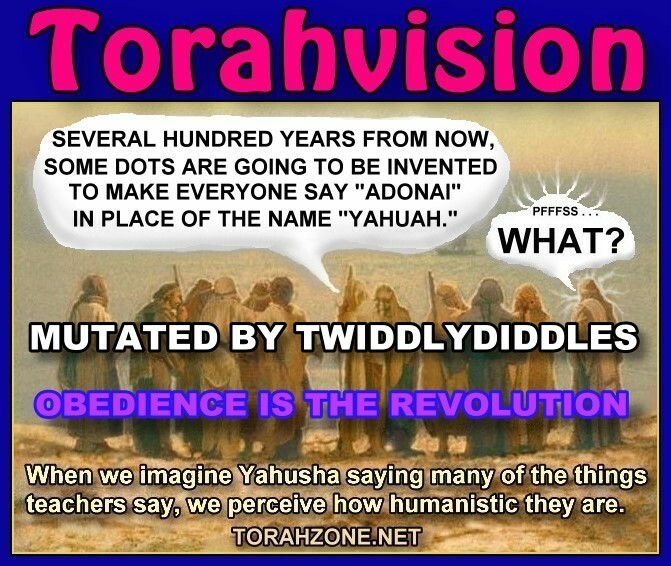 THE NAME "YAHUAH" WRITTEN IN FOUR HEBREW VOWELS NO TWIDDLYDINKLES? 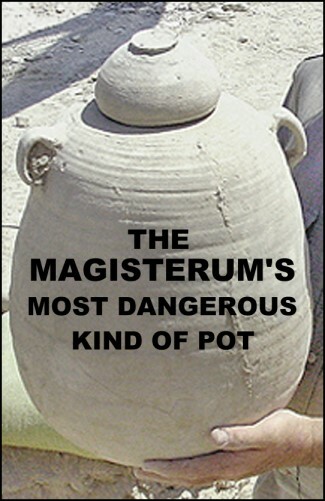 The discovery of the Dead Sea Scrolls affirms the true Name, so the false teaching authorities are very concerned about what was inside the pots. The intention to guard and honor the Name of Yahuah developed into an equally ambitious plot to conceal it. When the Hebrew Scriptures were translated into the Greek language, the Tetragrammaton (4 letters) was replaced by the word “kyrios” - meaning lord (bel in Hebrew). People are learning that the Name of our Creator is not Kyrios, Ravi, Lord, or Bel, titles that have replaced the Name. The storing of Hebrew and Aramaic scripts having the Name written on them was the purpose for them being discovered. The Name was veiled by those with an agenda to control knowledge. The original scroll team consisted of Jesuit priests. They wanted to control what was released because it would reveal the true Name. Many died without publishing their work or revealing the contents of the scrolls. In my early research on the Name, one issue of the Biblical Archaeological Review (BAR) revealed that the Jesuits held the scroll of MatithYahu found in Cave 1. The article was an interview with one of the Jesuits that worked on the original scroll team. He claimed he had worked on a scroll of MatithYahu written in Hebrew, and had completed a thorough concordance of it by 1952. Like the whole scholarly community of the world, I wanted most to see the original scroll, and still we are waiting. All we have seen so far of MatithYahu are reverse-translations from Greek into Hebrew, and then into English. I loaned my only copy of the interview with the Jesuit priest to a friend, and he never returned it. The important thing to know: finding a copy of MatithYahu in cave 1 means that Natsarim writings had been stored at Qumran prior to 70 CE. 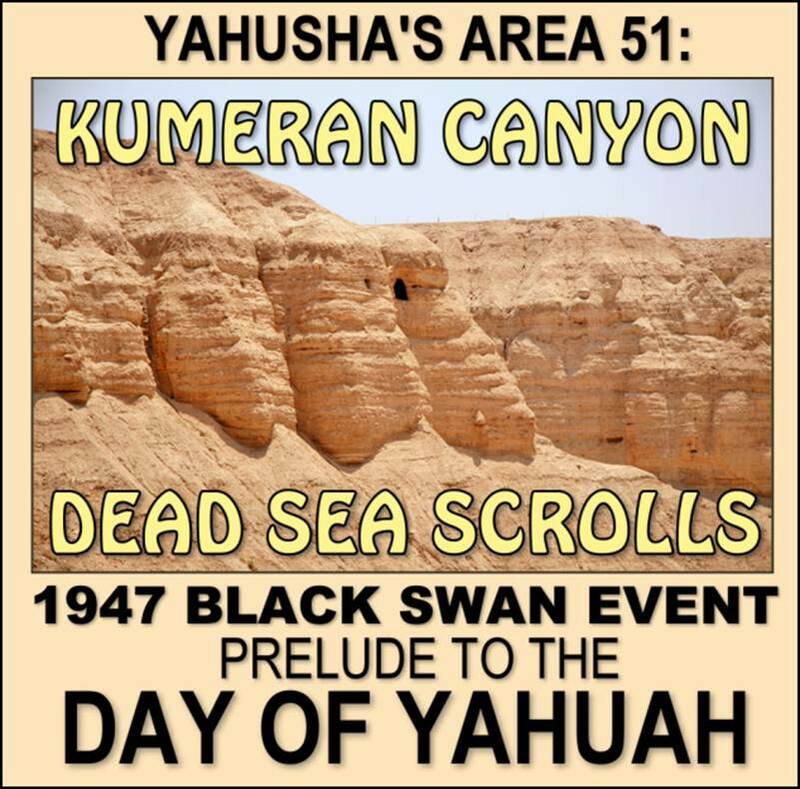 What was preserved in the caves at Qumran (Kumeran Canyon) was a time-capsule, buried to conceal Truth to be released just prior to the Day of Yahuah. 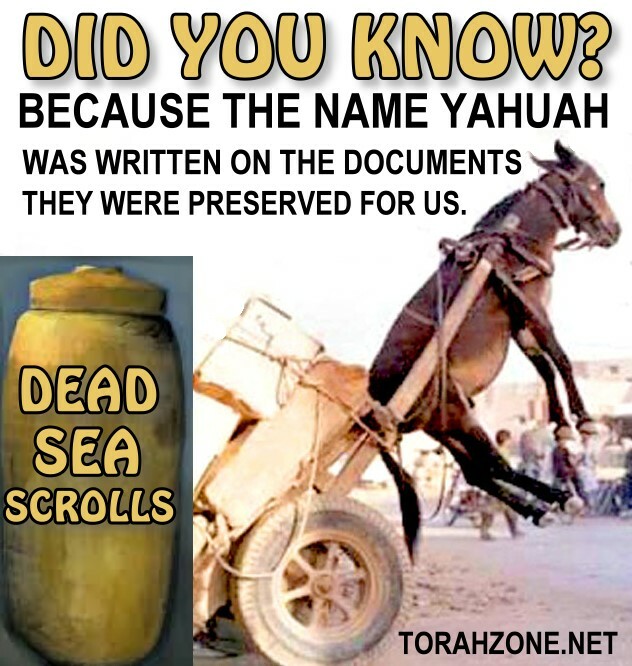 Yahusha guarded His Name so we might be sealed in it. The Caves at Qumran waited until 1947 to reveal their contents. A stray goat and a Bedouin boy were used to uncover the secret of the Name stored in the caves, held for the last days. The Roman general Vespasian and Titus (his son) brought an end to the zealot uprising, destroying Masada (Herod’s palace), the Temple Mount, and the city of Yerushalayim. The zealots brought the wrath of Rome down upon the whole area of Yahudia, and renamed it Palestina, after the land of the Philistines. The attack on Yerushalayim in 70 CE under Titus - and the destruction of the Temple of Yahuah - was a Black Swan event (a rare bird, or major event unable to be predicted that affects life). 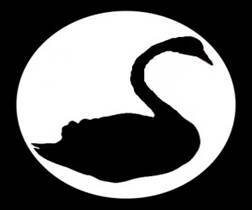 A Black Swan event is something that happens by surprise that affects many people. This is because people don’t expect or even imagine them happening until they do. My dad was always saying “that’s a rare bird” when something would happen he didn’t see coming. The Internet, 911, World War 1, or the attack at Pearl Harbor are some examples of Black Swan events. 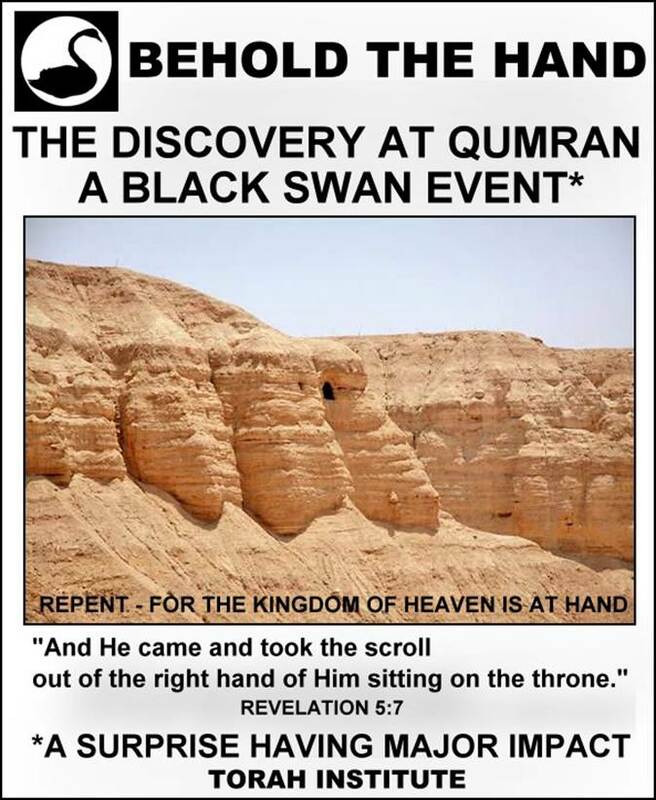 The goat led us to the discovery of the scrolls, and it was another Black Swan event. The Jesuits swooped-in to limit potential damages to their control over beliefs and hierarchy. The DSS posed a serious threat to their control over what people could read. 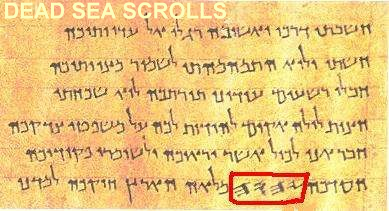 The scrolls could reveal to the world there has never been anyone named “Jesus” written about in the original Hebrew text of MatithYahu. Suspiciously, no record of the BAR issue containing the interview can be found on the Internet, nor is the original Hebrew document he claimed he worked on. We walk by faith, not by sight, and what has been concealed will be revealed; all in Yahusha’s timing. Yahuah has become our Deliverer, and the Hebrew Name YAHUSHA means, I am your Deliverer. This truth no one can conceal. You’ve probably read many articles on the Dead Sea Scrolls, and heard all the theories about the sect of the Essenes. It’s vital we don’t miss the big picture. Look at the photo below carefully. From one perspective, the formation appears to be a right hand. Yahusha’s right hand is about to take over the reign of this world forever, and we who are awake are prepared. the shape of the caves you see in the photo above. The IAA is made up of Israel’s finest archaeological researchers (about six individuals). It sprang into being in 1948, soon after the Dead Sea Scrolls were discovered in several caves at Qumran in 1947. These scrolls and the Qumran caves were held under the tight control of a few Jesuit priests at the Domincan Ecole Biblique in close association with the Rockefeller Museum. Recall that Rockefeller funded the building of the United Nations building in New York City. His wealth guided the UN through its infancy after being established in 1947 by the CFR. After the United Nations was established by the CFR, it’s first act was to create the State of Israel, placing the war-ravaged Yahidim smack-dab in the middle of all their greatest enemies. The day after the nation was founded, it was attacked by all of its Islamist neighbors. 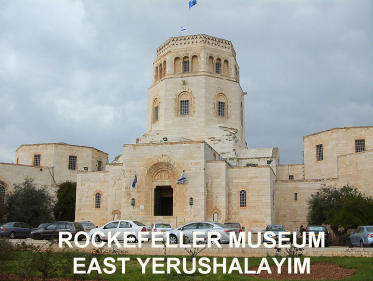 Rockefeller, the establishing of the nation of Israel, the Jesuits, and the Dead Sea Scrolls are definitely connected by large “dots”. Below, you will learn what the first item was that emerged from the caves at Qumran. There are two views of history: the “accidental” and the “directed”. When things occur randomly without a directed motive behind them, they are merely accidental. When directed, a clear motive emerges and the conspirators involved in their occurrence can be identified. Coincidentally, or not, the IAA is currently housed in the Rockefeller Museum. Those of us who are believers in Yahusha disagree with some of their findings, decisions, tactics, and dating techniques. For example, the Muslims performed some illegal digging on the Temple Mount a few years ago, and dumped a large amount of the excavated material from their digging at a dumping ground some distance away. The large piles of dirt they discarded formed several large mounds, and a young archaeology student took several bucket-loads of the soil and performed a new technique on the material called “wet-sifting” – using water to wash away loose soil in screened trays – leaving behind very small stone or metal items. Incredible items were discovered in the process, some dating back to the first Temple period. The IAA arrested the young archaeology student, and put him in jail for digging without a permit! After serving time and paying fines for his “crime”, they released the young man, and shortly afterward hired him to perform the very same task he had been accused of, only this time on a large scale, and they paid him for doing it. In a way, the IAA is a kind of “Theater of the Absurd” if you can “dig” my meaning. When items emerge as evidence of Yahusha’s life, influences, or importance, such as the “James Ossuary” (His brother YaAqob’s bone receptacle), the IAA ignores or ridicules them. At times, the IAA prosecutes people for fraud who have owned unprovenanced items. Unprovenanced artifacts are finds without official sanction from a dig that pop up on the market for sale. Their source cannot be substantiated, proven, or placed in context with other items in a permitted dig, and may have even been looted, or are fakes made to appear old. The IAA conducts scientific testing of an item’s patina (layers that build on surfaces over long ages of time that helps authenticate their age). The original DSS were only handled by Jesuit (Catholic) priests for many decades. The first Yahudi joined the scroll team long after the Jesuits could organize or eliminate what they never wanted eyes to see. But, on the whole, the IAA releasing some of the digital library is quite impressive. 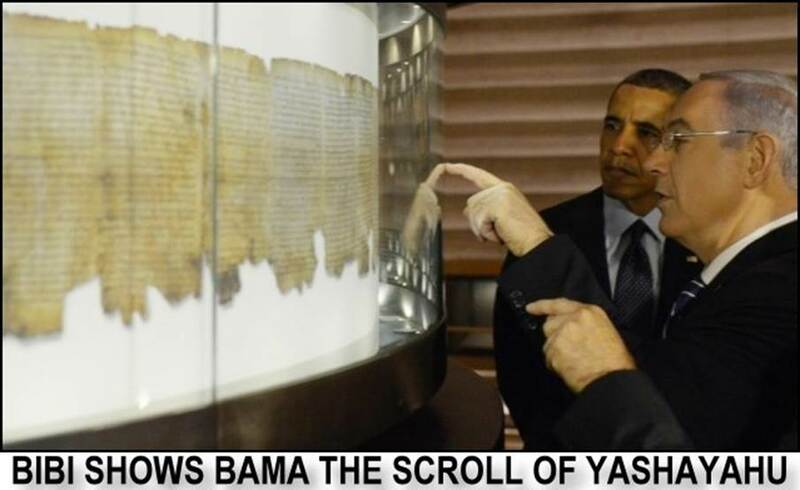 The world is waiting to see the scroll of MatithYahu found in Cave 1 in 1947 (1QMatithYahu), held by the Catholic scroll team in highest secrecy for 67 years now. The true Name of the Mashiak, and the true Name of Yahuah, would be released to the world! The only reason the DSS were ever put into the caves is because THE NAME was written on the various documents. Scripture, letters, and legal papers of all kinds were preserved in those caves over many centuries, because the Name was not to be destroyed. 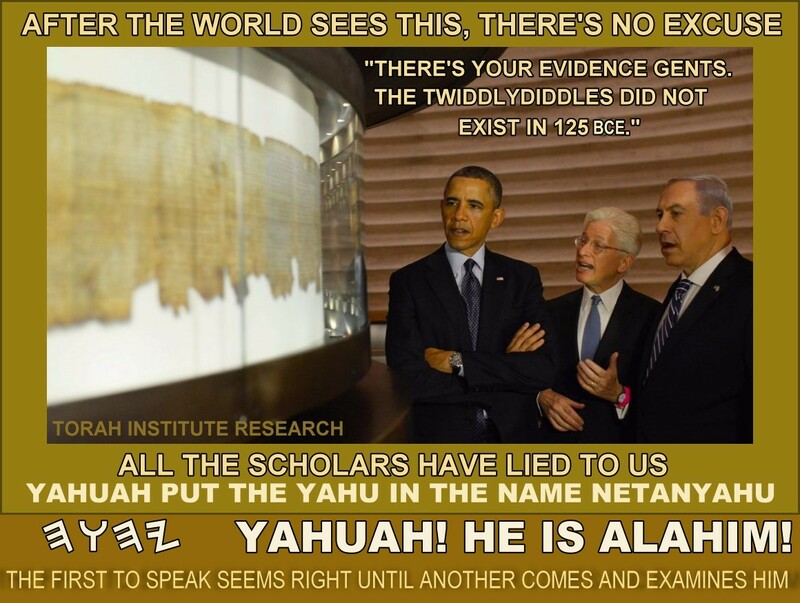 The release of 1QMatithYahu would silence all the “Sacred Name” critics once and for all. 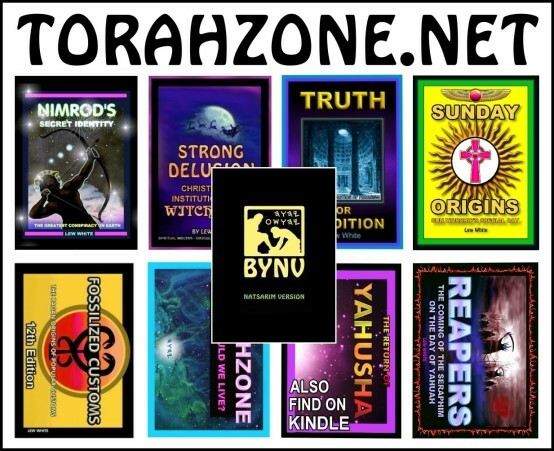 (There is a new attack looming larger in some quarters against the true Name, Yod-Hay-Uau-Hay (Yahuah) begun by a man promoting the Name EhYeh, from ahayah asher ahayah, Ex/Shemoth 3:14, 15). Many of you have heard of the young Bedouin lad who threw a stone into a hole where he saw one of his animals enter in 1947. What you may not have heard is that the first scroll this boy plucked out of the jars in what is now called “Cave 1” was a copy of the besorah (gospel) of MatithYahu. This was no cosmic accident, but planned carefully by Yahusha for a day that abides. 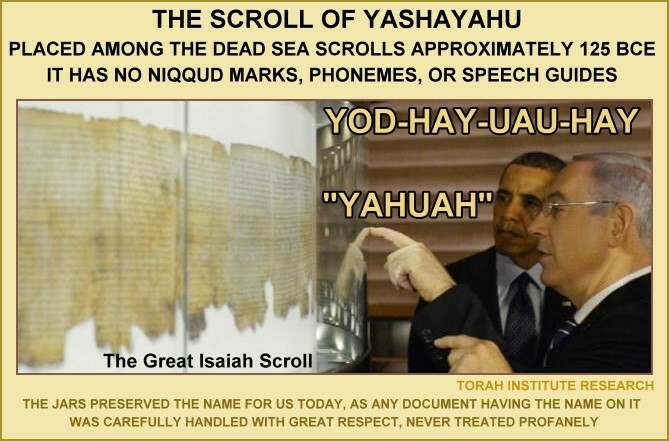 We look forward to the day the scroll of MatithYahu is finally released for the world to see the evidence of the Name we hold so dear: Yahusha ha’Mashiak.